Ever wonder why the Niagara Falls State Park looks so bad these days? A horridly overpaved spectacle of bad and ugly pavement? 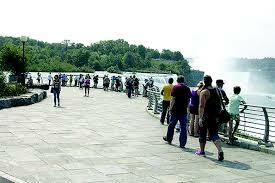 He cared enough to spend $50 million of taxpayers money to try to ‘improve’ Niagara Falls State Park. That Gov. 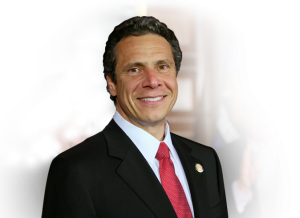 Andrew Cuomo failed abysmally, should not be held against him. What the hell did he know about park improvement? He was just getting his feet wet. It occurred thanks to Gov. 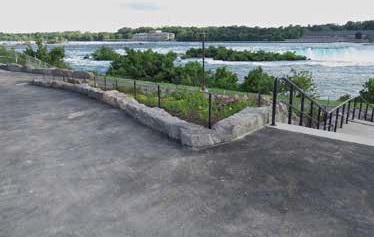 Andrew Cuomo’s $50 million Niagara Falls State Park Landscape Improvements plan. It was an “improvement’ of historic proportions. But give him a little slack. After all, it made great headlines. Spending all that money on a famous and historic park made everyone who read about it, but did not see the aftermath, think Gov. 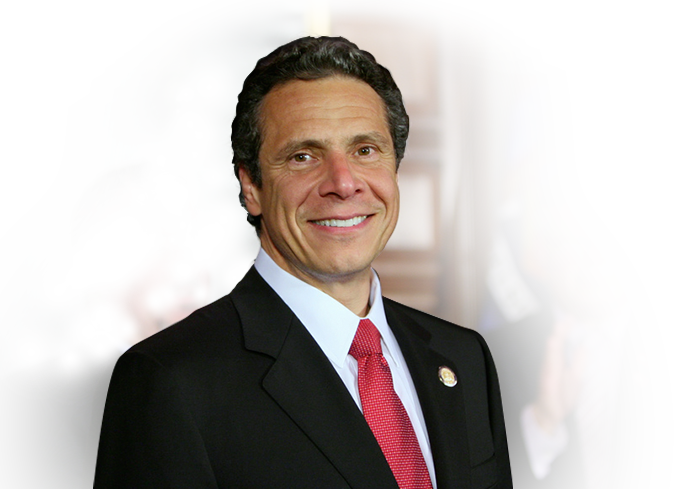 Cuomo was quite a spiffy gent bent on a road of good intentions. 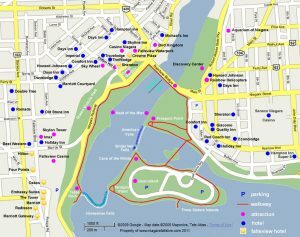 The plan was overseen by New York State Office of Parks, Recreation and Historic Preservation [NY Parks], a hotbed of good intentions if ever there was one. But give them a little slack too. 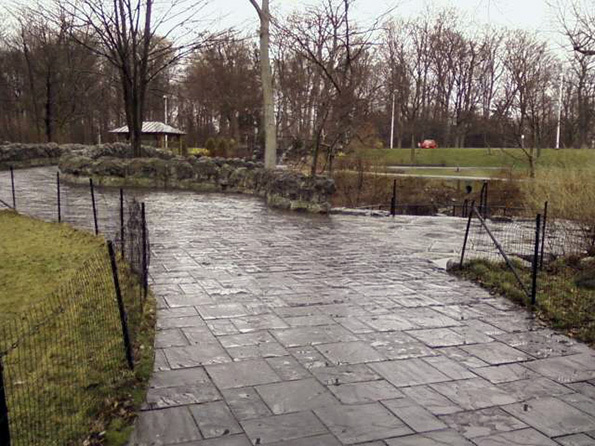 it is not easy to spend $50 million on such a small park as Niagara Falls State Park. The park is made up of two distinct areas. About 50 acres of the inner, middle Goat Island, which is forest where nothing needs to be developed because nobody is going to go there. The other approximately 50 acres. 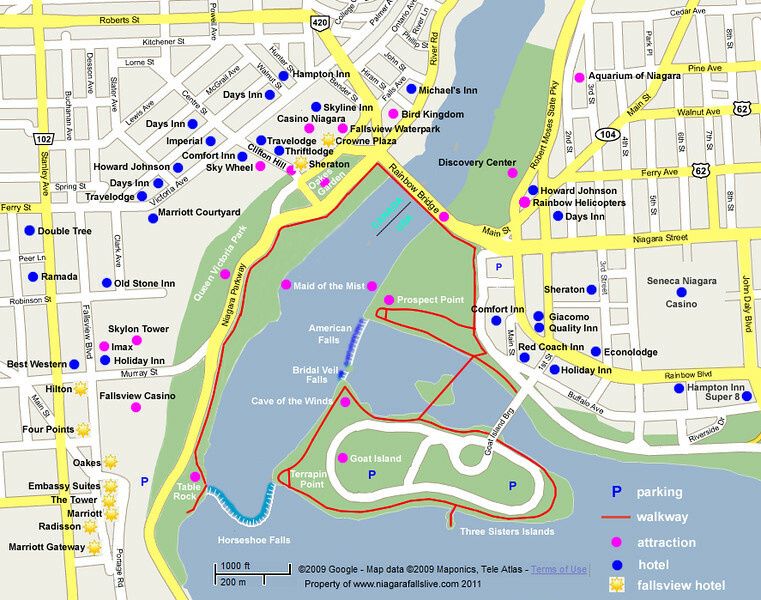 This too is split: About 25 acres is Prospect Park and 25 acres of perimeter of Goat Island. So 50 acres for $50 million. So how to spend $50 million? You replace railings and add benches. You take out some old trees and plant saplings, and make flower gardens. You add restrooms, expand concessions, move a statue or add one. But this does not amount to anywhere near $50 million. In order to spend $50 million – as Gov. 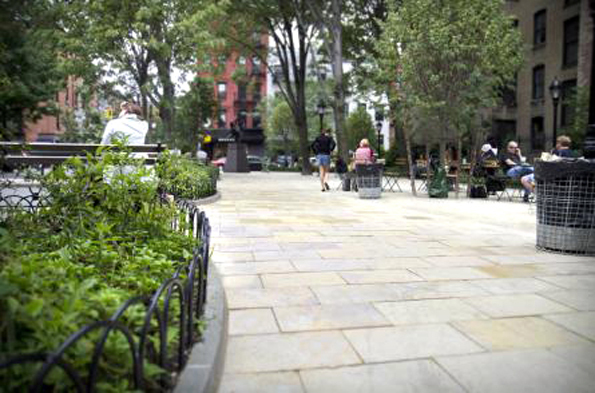 Cuomo wanted, there was only one way to do it: pave the park. Add lots of stone pavers and concrete and blacktop. Take out as much green as possible and put down pavers. Repave everything that was already paved. And add to it. Pave the devil out of the park. Pave it fancy, with lots of little touches – like fancy little gardens around the pavers and more fancy benches and more fancier railings, set in pavers with little walls of pavers for an extra nice touch. Add $30,000 million in pavers to a tiny state park, make it hard as hell then soften it with gardens and for every 100 year old tree you cut down, plant a sapling. Yes, you can blow through the money just fine. A lot of people will make a lot of money off of it too. Lots of them will be friends of the governor. Friends in a political sense. A friend in a political sense is someone who contributes to your campaign. Apropos of that is who gets selected to do the work. 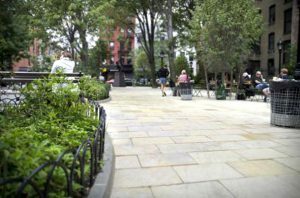 To blow through $50 million on a park that didn’t need it, one that is pretty small to begin with, you need more than pavers. You need designers to tell you where to put the pavers. The great thing about design work is that the state doesn’t need to put design work out to competitive bidding . It is considered professional services contracts. 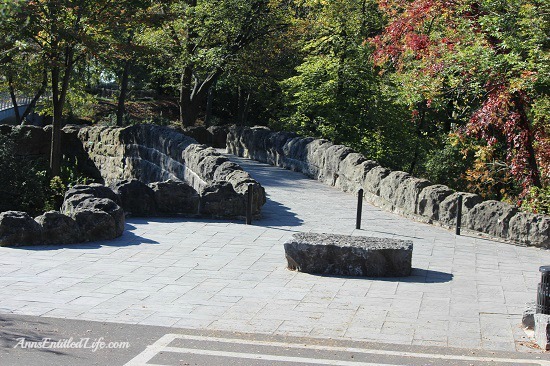 The government – in this case NY Parks [supervised by the governor] can just select a company to do the design work without the design company having to bother about competitive pricing. That’s why designers and engineers and architects love government work: They can charge triple the price to governments than what they charge private sector companies. The design companies can charge government whatever they want, providing they can get someone in government to select them as being the best professional company for the job. Usually the best professionals are the companies that are professional enough to contribute to the most professional politicians. And Andrew Cuomo is a consummate professional. And you can bet old Andrew was on top of the project at the Niagara Falls State Park. Up and down the $50 million line he kept his watchful eye and made sure the right professional designers got the job at the right [for them] price. From there it is all gravy. Once the right design company is selected, they design it then create a bid specification plan. Then the job is ready to go out to bid. True, the contractor that actually does the work has to compete for the work by submitting a bid price and going up against other bidders. It is a little harder to steer the work to the contractors. But happily for the survival of graft, the design company can ensure that the company that sells the pavers doesn’t have to compete for pricing for the sale of their pavers. The companies that sell pavers, with a friendly design company helping out, can skip the tedious requirement of sharpening pencils and having to sell pavers at competitive prices. 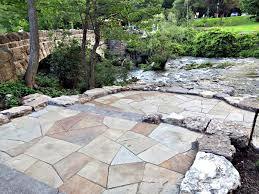 There is a tricky, little, lovely way the design company can select the company that sells the pavers. And just as designers charge triple for their design services, a stone company can triple their prices too. All the design company has to do is make bid specifications so precise that only one company can provide the specialized pavers. Sounds great. Everyone can make a lot of money. So how does it work? See our next story for a happily illustrative example. Learn about your government, it’s fun. Ghost in order places around such facilities requires mandatory investment of funds to attract tourists to our country. The chocolate chip cake is toward die for. It is the Basically purpose in direction of split my eating plan. I precisely wished to appreciate you yet again. I am not sure what I would have tried in the absence of the type of smart ideas contributed by you regarding such a subject. It became the frustrating case in my view, nevertheless finding out the professional mode you dealt with it took me to leap over delight. Now i am thankful for the help as well as sincerely hope you really know what a great job you’re carrying out teaching the rest through your websites. I know that you’ve never met any of us. 2Ze9Br It as going to be end of mine day, however before end I am reading this wonderful piece of writing to improve my know-how. Many thanks for writing the idea, I saved this webpage. I am also trying to find details regarding espresso machine reviews, are you aware the place where I could find a thing such as that? I will come back quickly! Hi my friend! I wish to say that this post is awesome, nice written and come with almost all important infos. You’re absolutely right. I really enjoyed looking through this and I will come back for more as quickly as possible. Our website is on the subject of math homework, you can take a glance if you are still interested in this. I was speaking with a buddy of my own about this info and also regarding best desktop pc as well. I feel you made some very good points here, we’re looking forward to keep reading information from you. excellent but with pics and videos, this website could certainly be one of the greatest in its niche. Yes! Finally someone writes about besting timex watches. except I know I am getting familiarity all the time by reading such pleasant posts.